In January 2019 John acted as Executive Chairman for the DyaMX Board of Directors meeting. In December 2018 John acted as Executive Chairman for the ActivOrtho Board of Directors meeting. In November 2018 John and the DyaMX team closed a $12.8M Series A financing. This important new company is a partnership between Mayo Clinic Ventures, FourMation Medical and Fourth Element Capital. In August 2018 John acted as Executive Chairman for the ActivOrtho Board of Directors meeting. In August 2018 John joined the committee for the 7th Annual Uncommon Award Dinner featuring Tony and Lauren Dungy. This is an important fundraiser for Tom and Jeannie Lamphere in their role at Athletes In Action here in Minnesota. Excitement is building for this years award recipient! In August 2018 John raised funding for military families in need by participating in the Tee It Up For The Troops Bunker Hills tournament. He was joined by Cameron Tringale, Scott Anderson, Kent Applegate and John Mack. Thanks to all who served our great country. In July 2018, John co-founded FourMation Medical which creates new healthcare technology companies and has a significant proprietary relationship with Fourth Element Capital. In July 2018 John announced he was scaling back on his coaching and speaking activities in order to spend additional time raising capital for Fourth Element Capital (www.fourthelementcapital.com). In June 2018 John raised funding for military families in need by participating in the Tee It Up For The Troops Longest Day of Golf and playing 102 holes on golf on June 15th with Scott Anderson and Aria Sameni. In June 2018 John acted as Executive Chairman for the ActivOrtho Board of Directors meeting. In May 2018 John agreed to an advisory position with the Delta Dental "Baby" Fund. In March 2018 John acted as Executive Chairman for the ActivOrtho Board of Directors meeting. In February 2018 John and Kelly visited Israel in order to better understand the core of their faith and its relationship to John's coaching and speaking expertise. In February 2018 John resigned from the board of Xtant Medical after five (5) years of service and after leading the company through a restructuring. In January 2018 John presented during a breakfast meeting at the Sales & Marketing Mastermind Group MedTech on January 2, 2018. The topic was Developing MedTech Leaders. In November 2017 John presented at the Fuel Leadership Conference at the University of Northwestern at St. Paul. John taught the attendees of his lunchinar about John Maxwell's 3 Things Successful People Do and he taught the Conference attendees the importance of knowing, growing and sowing. In November 2017 John was asked to become Executive Chairman of DyaMX. In September 2017 Cross River Healthcare Partners was renamed Fourth Element Capital. In September 2017 John was asked to become Executive Chairman of ActivOrtho. In August 2017 CHIP III was renamed DyaMX after license negotiations with Mayo Clinic were initiated. In June 2017 John presented at the HOBY (Hugh O'Brian Youth) Student Leadership Forum on the campus of St. Cloud State in St. Cloud, MN. John taught the student leaders how to CHIP Away at Leadership by showing them how to unleash their value in their communities. 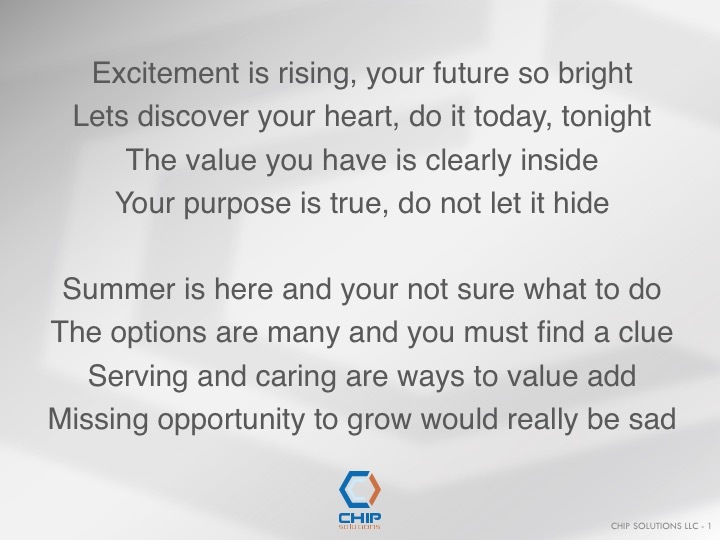 John presented the following poem to the students as a gift for them to inspire their summer. In May 2017 John presented at the Student Leadership Forum at the Westin Hotel in Xi'an, China. John taught the student leaders how to CHIP Away at Leadership during the morning sessions. The topic of the Keynote session was John Maxwell's 3 Things Successful People Do and he taught the Forum attendees the importance of knowing, growing and sowing. John also spoke numerous other times during the week to Business Leaders, Entrepreneurs, Father, Husbands and students about business leadership, ethics and balance. 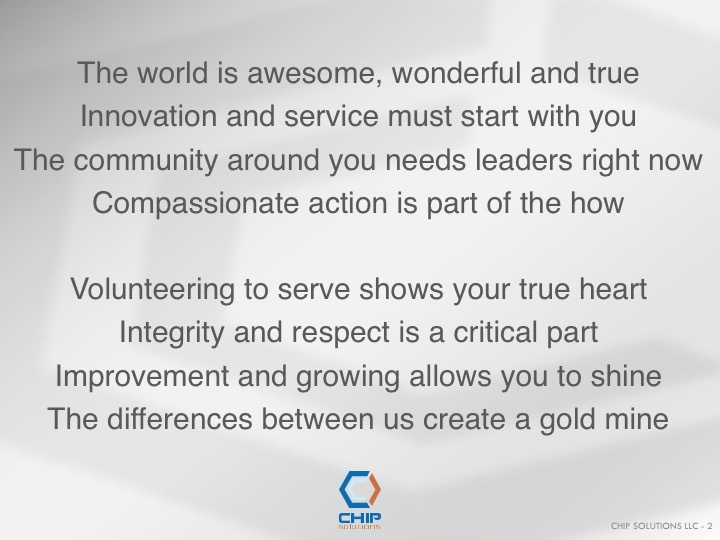 In April 2017, John co-founded CHIP II and CHIP III and joined the Board of Directors. In March 2017, John co-founded Cross River Healthcare Partners and became a Managing Director. In January 2017, John co-founded ActivOrtho and joined the Board of Directors. 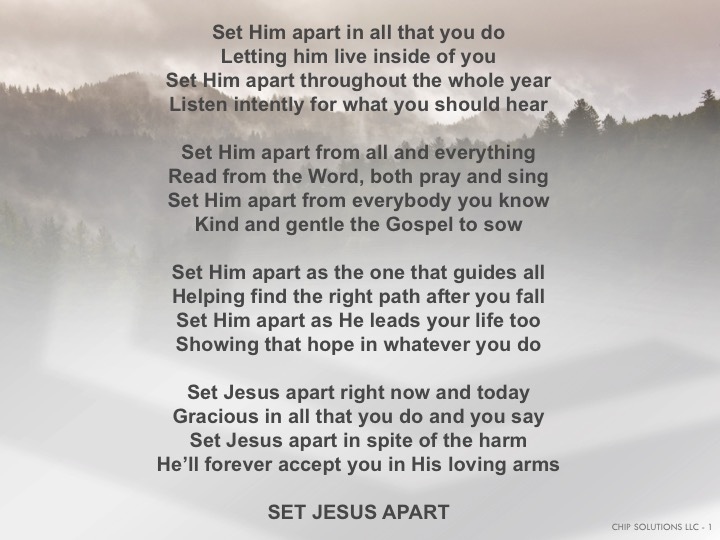 In January 2017, John completed a workshop with the Mens group of Five Oaks Church of Woodbury, MN. He led the attendees through an important session on Everyday Heroes. 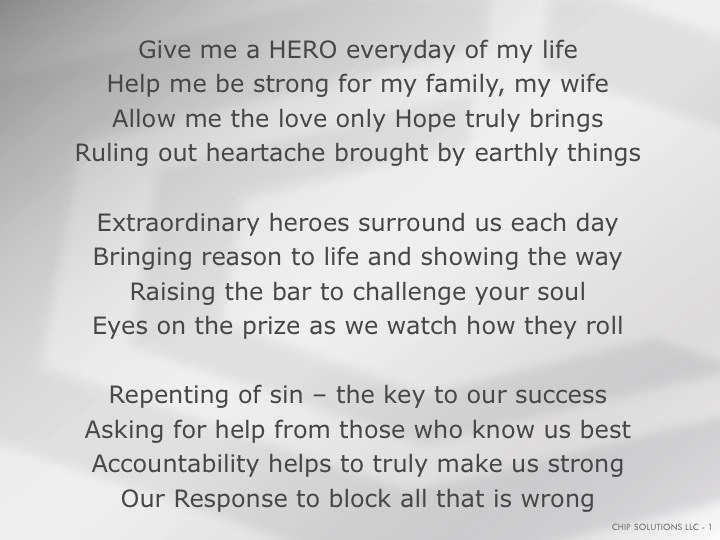 Here is the poem that John was inspired to write as a gift to Mark DuVal and the Summit group. In December 2016, John attended the Xtant Medical Holdings (XTNT) board meeting held in Denver, CO and he chaired the Business Development and the Nominations & Governance Committee meetings. In December 2016, CHIP Solutions joined an elite group of co-sponsors to bring The Reason concert to Rochester, MN. The concert was highlighted by bands Tenth Avenue North and Switchfoot, and evangelist by Nick Hall. Appearance by Dave Lubben made the event more spectacular. In December 2016, John was asked to serve another year on the Ironwood Springs Christian Ranch Board of Directors. He accepted the position for 2017. In November 2016, CHIP Solutions relocated from Rochester, MN to its new home in the Minneapolis/St. Paul area. The new address is 3055 131st CT NE, Blaine, MN 55449. In November 2016 John led a panel discussion for the Christian Business Leaders organization at the Canadian Honker Events Center in Rochester, MN. The topic of the session What Does Christian Business Really Look Like?. The panelists were Bob Yanish of Robert Yanish Enterprises and Mike Enke of Rochester Motor Cars. In October 2016, John completed an evening retreat with the Board of Directors for Rochester Area Association for Christian Home Educators (RAACHE). He led the Board through the process of evaluating their vision, mission and values for the organization. 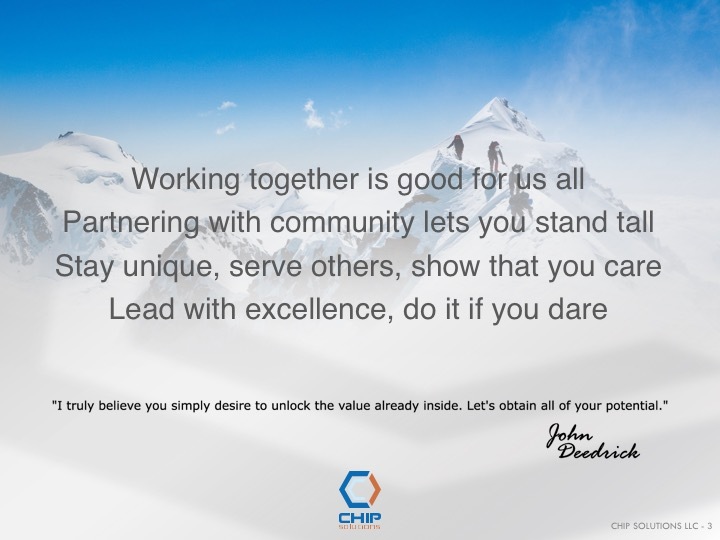 In October 2016, John and Kelly announced the relocation of their business (CHIP Solutions) from Rochester, MN to Minneapolis, MN. In September 2016, John attended the Xtant Medical Holdings (XTNT) board meeting held in Bozeman, MT and he chaired the Business Development and the Compensation Committee meetings. Here is the poem that John was inspired to write as a gift to his niece (Ainslee) and nephew (Eli). In August 2016 John presented to the Christian Business Leaders organization at the Canadian Honker Events Center in Rochester, MN. The topic of the session was John Maxwell's 3 Things Successful People Do and he taught the lunch attendees the importance of knowing, growing and sowing. In June 2016, John attended the Xtant Medical Holdings (XTNT) board meeting held in Dayton, OH and he chaired the Business Development and the Compensation Committee meetings. John led the recruitment of the new board members announced following the meeting: Rudy Mazzocchi, Paul Buckman and Eric Timko. In June 2016 John attended the MedTech Investing Conference held in Minneapolis, MN. In April 2016, John attended the LAFORGE Optical board meeting held in New York, NY. In April 2016 John led a Lunch & Learn (L&L) for the Rochester Chamber of Commerce. 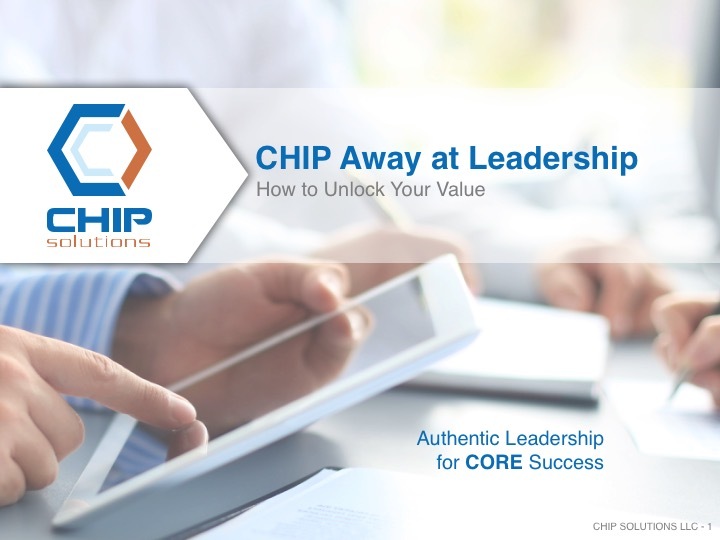 The topic of the session was CHIP Away at Leadership helping the seminar attendees understand their personal leadership style origins and helping them recognize how they affect their current daily work relationships. In March 2016, John attended the Xtant Medical Holdings (XTNT) board meeting held in Denver, CO and he chaired the Business Development and the Compensation Committee meetings. In March 2016, John spoke in Winona, MN to the Entrepreneurship class at Winona State on the topic of Joint Ventures. In March 2016, John was asked to join the Board of Directors of LAFORGE Optical. He accepted the position for 2016-2018 and will add value by helping with governance activities and advising on a medical device product currently being developed. In February 2016, John spoke in Rochester, MN for the Christian Business Leaders on the topic of CHIP Away at Business. He described his Four Principles of Successful Christian Business to the crowd of 60+ brave souls that came out in spite of the blizzard tearing through Rochester. 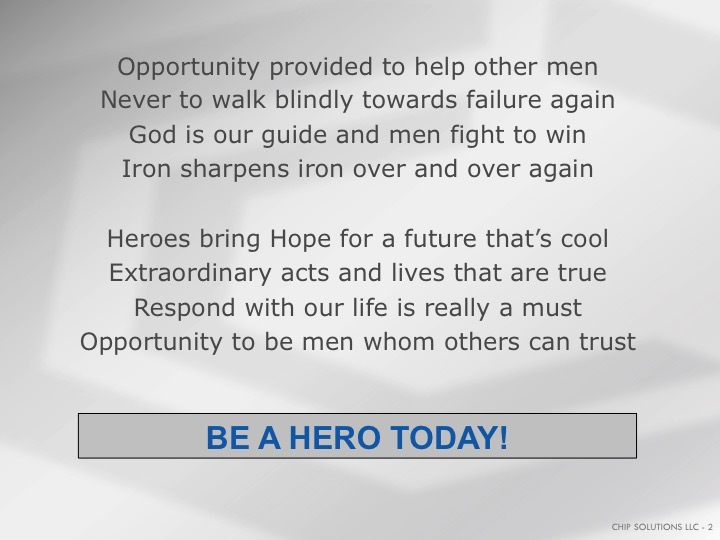 In January 2016, John spoke in Rochester, MN for the Kiwanis Sunriser's on the topic of Everyday Heroes. He was thrilled to share how important each of our heroes is in our daily lives. 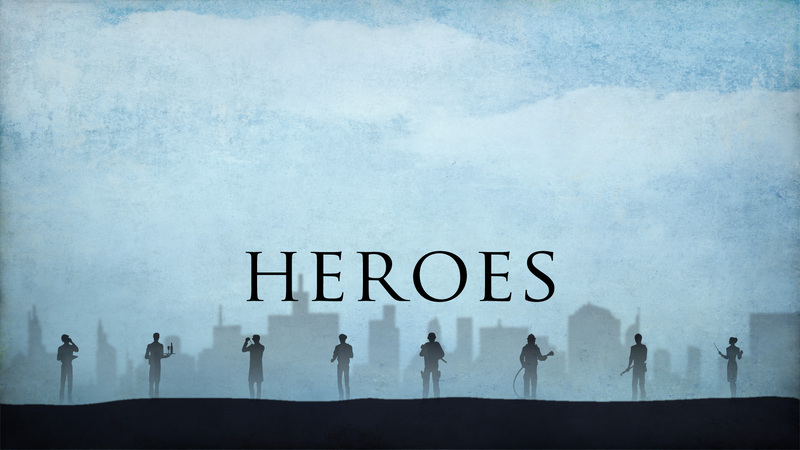 The talk highlighted many of our local heroes that impact the community of Rochester. In December 2015, CHIP Solutions joined an elite group of co-sponsors to bring The Reason concert to Rochester, MN. The concert was highlighted by singers Jeremy Camp and Jamie Grace and evangelist Nick Hall. In December 2015, John was asked to serve another year on the Ironwood Springs Christian Ranch Board of Directors. He accepted the position for 2016. In December 2015, John was asked to serve another year on the GreatDeeds Board of Directors. He accepted the position for 2016. In December 2015, John attended the Xtant Medical Holdings (XTNT) board meeting held in Phoenix, AZ and he chaired the Business Development and the Compensation Committee meetings. 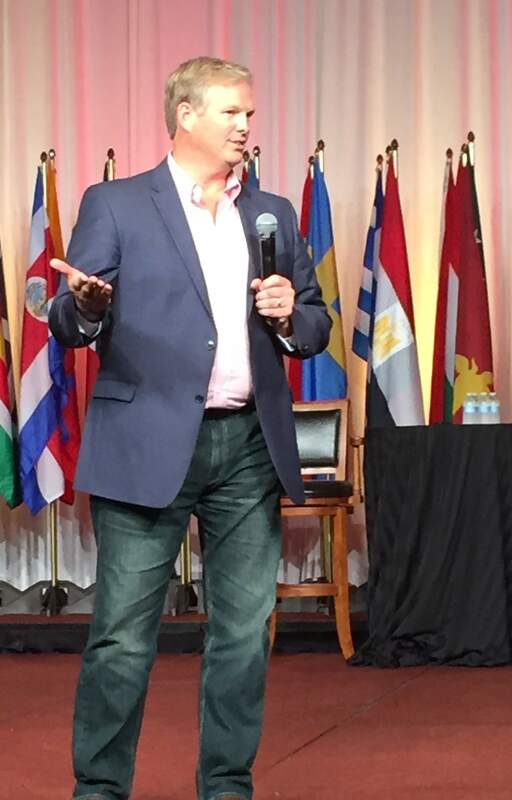 In November 2015, John attended a True North discussion led by Bill George held in Roseville, MN. He was honored to participate in a photo session with Bill and obtained an autographed copy of his bestseller - True North. In October 2015, AMV Fund I and AMV Fund II portfolio company, AqueSys was acquired by Allergen for an initial payment of $300 million with earnouts to be paid over the next 2-6 years. In October 2015, John completed Advanced Training for DISC (assessment of human behavior) Certification Program and is recognized as a Senior Certified Human Behavior Consultant. In October 2015, John attended Harvest University in Chicago, IL. In September 2015, John attended the NACD (National Association of Corporate Directors) conference held in Washington D.C. In September 2015, John attended the Xtant Medical Holdings (XTNT) board meeting held in Denver, CO and he chaired the Business Development and the Compensation Committee meetings. In July 2015, Bacterin (BONE) completed its acquisition and financing of X-Spine and John's role as Chairman of the Business Development Committee was critical. In June 2015, John attended the Bacterin (BONE) board meeting held in Denver, CO and he chaired the Business Development and the Compensation Committee meetings. In May 2015, John spoke in Rochester, MN for a business networking group on the topic of the Value of Networking. In May 2015, John spoke in Brooklyn Park, MN for Life Science Alley on the topic of Corporate Governance, specifically Compliance. In May 2015, John completed DISC (assessment of human behavior) Certification Program and is recognized as a Certified Human Behavior Consultant. In April 2015, John spoke in Rochester, MN for a business networking group on the topic of Success and Growth. In March 2015, John completed the MCORE (assessment of core motivations) Coaching Certification Program. 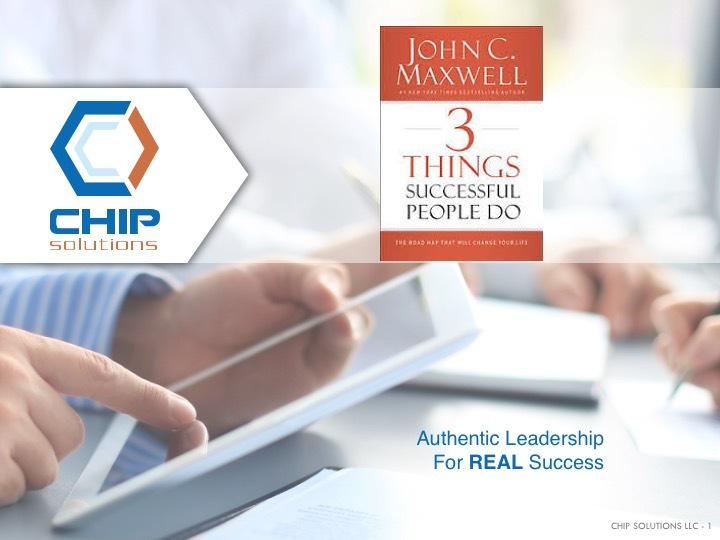 In February 2015, John completed the John C. Maxwell Certification Program and is certified as a Coach, Teacher, Trainer and Speaker. In December 2014, John was invited to join the Board of Ironwood Springs Christian Ranch, Rochester, MN. In December 2014, CHIP Solutions joined an elite group of co-sponsors to bring The Reason concert to Rochester, MN. The concert was highlighted by the Newsboys and evangelist Nick Hall. In November 2014, AMV Fund II portfolio company, Nevro (NVRO) went public on NYSE. In October 2014, AMV Fund II portfolio company, WaveTec Vision was acquired by Alcon for $350 million in cash. In February 2014, AMV Fund I portfolio company, Inogen (INGN) went public on NASDAQ. In 2014, John completed the Strengthfinders coaching training package. In May 2014, John spoke at an Alliant Techsytems, Armaments Systems Division celebration of two large international contracts. He made a presentation to the Vice President and General Manager during his speech. In February 2014, John spoke as part of a panel at the Collaborative and Life Science Alley's hosting of the Vanguard Series program on MedTech. John showed his deep experience and flexibility by filling in for Dr. Robert Schwartz who was called away to treat patients. The panel was on Imaging and Image-Guided Surgery. In May 2012, John spoke at the Rochester Entrepreneur Network (REN) providing the attendees insight into "Preparing for Exit Strategy". He provided insights into his 10+ exits for the entrepreneurs that are currently growing their businesses. In February 2011, John spoke at the International Business Forum and provided the audience with the talk "A View from the Trenches" which was intended to illustrate a successful process for early stage innovation. In May 2010, John was a panelist regarding Neuromodulation Investments at the International Neuro Meeting held in London. From 2004-2012, John was involved as a speaker, panelist or advisory board member for the Medtech Conference help in Minneapolis, MN.